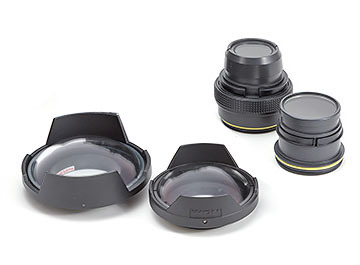 INON’s port system allows the use of lenses from fisheye to tele – macro. For super macro photography teleconverters and/or INON UCL close up lenses can be added. 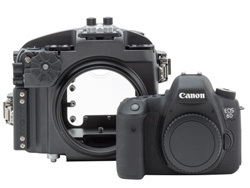 Canon APS- C users mat also choose the unique UFL-MR 130 EFS60 Underwater Macro Semifisheye Relay Lens for exceptional wide angle macro stills and videography. 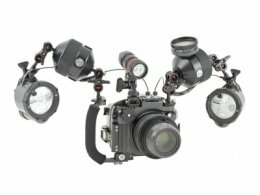 The INON X2 housings offer extensive strobe options. Up to four strobes can be fired using locking fibre optic cables. An electrical bulkhead can also be specified. Cameras with built in flashes support INON Optical S- TTL. 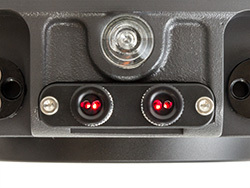 Those without can still be fired optically and automatic exposure is provided by INON’s External Auto strobe function. 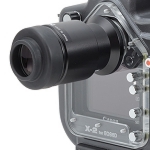 Despite housing full size Canon SLR cameras, the INON X2 underwater housings handle much like a compact system camera housing. The optional right support wraps around the back of your hand placing your fingers and thumb on the housing body itself for fast, responsive handling. Keeping the housing so small helps with shooting macro, super macro and wide angle macro images. 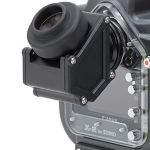 INON offer INON X2 SLR housing owners a choice of four viewfinder options. For stills photographers the INON STVF eyelevel or INON 45VF rotating viewfinders offer 1:1 magnification making composition, reading displays and focusing manually much easier than with simple pick up finders. 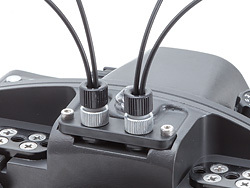 It’s essential to balance any underwater camera system to make handling as easy as possible. 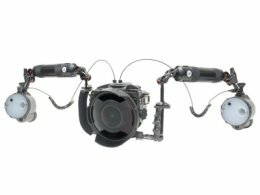 INON’s range of float arms let you adjust buoyancy and trim of your INON X2 underwater SLR camera system to perfection. A negatively buoyant housing impairs your photography by making your camera unstable, making composition, focusing and shooting one handed more difficult that it needs to be.